John Beebe Pianist Rohan De Silva describes playing with violinist Itzhak Perlman as "absolute magic." See them Sunday at Eastman Theatre. Pianist Rohan De Silva flies to Rochester this week with violinist Itzhak Perlman to perform a benefit concert for Lifetime Assistance. One of his generation's great collaborators, the Sri Lankan native has partnered with violinists Joshua Bell, Gil Shaham, and Midori. He spoke with Brenda Tremblay about successful partnerships and Vulcan mind melds. This is an excerpt of their conversation. Brenda Tremblay: How did your earliest piano teachers lay the groundwork for your success as a collaborator? Rohan De Silva: I started the piano when I was 3 years old under my mother, who was a wonderful piano teacher. She had a huge class. She used to start teaching at 7 o'clock in the morning (with a one-hour lunch break), and she used to go until 6 in the evening. Six days a week. So I heard music all the time. I studied with her for 11 years and later, when I went to London, I was a double major in violin and piano. That really helped me as a collaborator with instrumentalists. I'm really glad I studied two instruments in depth. How did you meet Itzhak Perlman? Through my teacher, Dorothy DeLay. When I came to Julliard, I played in her class and he heard me. He also heard me when I made my Carnegie Hall debut with Gil Shaham. Ms. DeLay was my guiding light. I really miss her. And not just to talk about music. What do you like about working with Mr. Perlman? When we play, it comes straight from the heart from him, and it makes me go to another level as a human being and as a musician. How would you describe the intimacy of performing chamber music to a non-musician? Is it anything like a Vulcan mind meld? You make a conversation. You start a piece of music with a certain picture in your mind and it doesn't always have to be the same picture, because the more you play a work, you've got to tell the story with different punctuation, different accents, different colors. You go with the flow. You go with the mood. I cannot say it in words, so I do it through the music, and whatever emotions I have in my mind and my heart, it comes through with the playing. I don't know about Vulcans. In music, it's a matter of having a good time and creating new ideas so it's never the same. Isn't that what music should be? It's like reading poetry. You never read a poem the same way twice. That is the magic of playing with Maestro Perlman, you know? It's absolute magic. The first two pieces in the concert are by Schubert and Beethoven. How does Schubert's Rondo for Violin and Piano set the tone for the event? The Schubert has got a robust introduction followed by the rondo, which keeps repeating. It's very difficult for both instruments because it's a real duo, you know? And I love Beethoven. He's probably my favorite composer. How do you approach Debussy's Sonata for Violin and Piano? I see it all in pastel shades. Nothing is extremely clear as it is in a Classical work. I'm comparing Debussy and Beethoven. Beethoven has more definite colors, do you understand? (laughs) More and more I think of colors when I play. After all these years with Itzhak Perlman, I see colors. What surprises do you have in store for your Rochester audience? I myself don't know what we'll be playing in the second half of the concert, to be honest! I carry a stack of about 150 pieces. And then Itzhak picks on stage. Some of the pieces I may not have played, so I have to sight read. No, it's not terrifying. I really enjoy it. It keeps me in suspense. It keeps me on the edge. 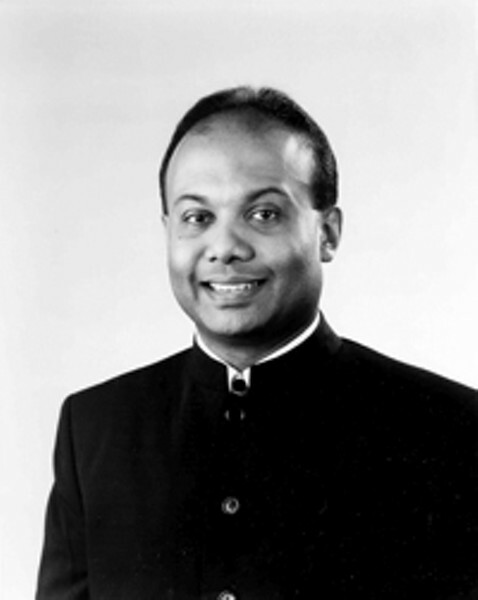 Pianist Rohan de Silva performs with violinistItzhak Perlman Sunday, November 5, at Eastman Theatre, 60 Gibbs Street, 3 p.m. $40-$90. 232-1900. The concert is benefit forLifetime Assistance Foundation. Brenda Tremblay reports on the arts for NPR and the WXXI Public Broadcasting Council.